Product prices and availability are accurate as of 2019-03-20 13:56:57 EDT and are subject to change. Any price and availability information displayed on http://www.amazon.com/ at the time of purchase will apply to the purchase of this product. 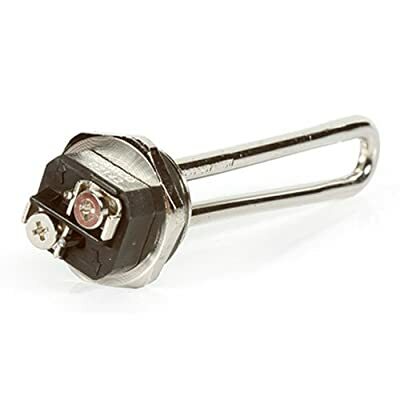 Camco RV 1500 Watt Universal Element is designed to replace the heating element in your RV water heater. This UL recognized HWD replacement kit has a screw-in style flange. Gasket and complete instructions are included. 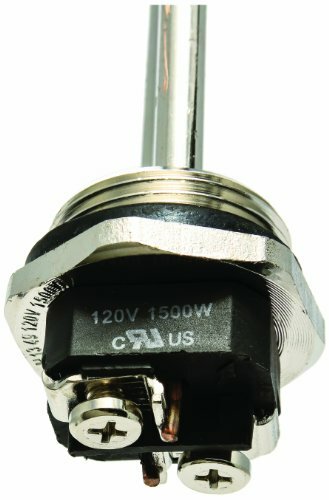 1500w - 120v. High Watt Density heating element 120V/1500W UL Listed Easy to Install Minimum tank diameter 9"